What will be the best games of 2019? It’s sort of our job to figure this out. We write stuff like our list of what’s coming, or the promising 2019 RPGs to help you foresee how your gaming time and moneydollars might be spent. This year we’re trying something new: a mock draft of the games that we think will be the most acclaimed and popular in 2019. 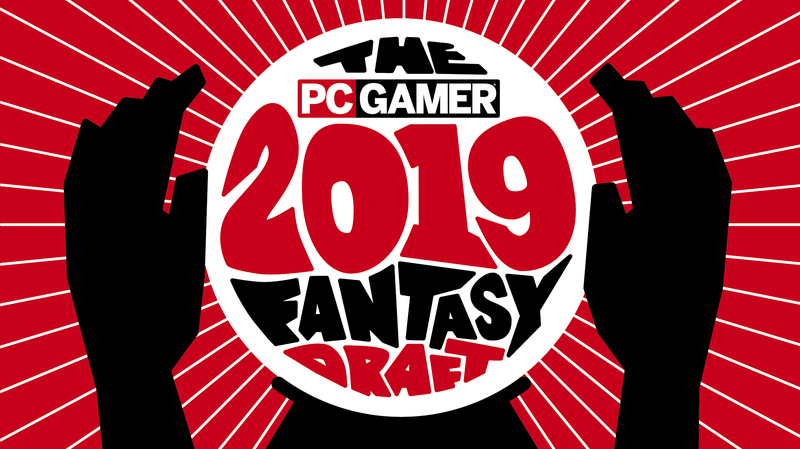 Making predictions is fun, and treating PC gaming like a fantasy sports league is one way for us to see who on the PC Gamer team has the best eye for what’s coming this year. Each editor picks seven games, one per round, in a reversing, or snake draft format. Must draft at least one singleplayer game and one multiplayer game. Each editor may draft one (but only one) ‘ongoing’ game that has already been released, a representation of that game’s specific progress and health throughout 2019. If a game fails to release in some form in 2019, it’s omitted. Part of the draft is predicting whether a game will release this year at all. How to win: At the end of the year, PC Gamer readers will vote on who picked the best set of games. We’ll weight this voting alongside a set of quantifiable, semi-arbitrary stats like filesize (lowest), number of trailer views, number of patches/updates, and other criteria to be determined. We finished drafting earlier this week. Here’s the results, a lively discussion of how it went, and our predictions about the games coming in 2019.